I’ve tried all the protein bars but this one is the one I keep coming back to. Love all flavours but my fav is peanut. Filling but not sickly. Sometimes you just don’t want chocolate in your bar. Morning noon and night, these bars are easily digested. They have an almost nougat like texture, meaning they don’t melt in your mouth, you get a healthy chew. Taste wise they are delicious. Having tried cookies and cream flavour and chocolate flavour I’m quietly satisfied. Low carb sugars and a healthy portion of protein make them fluent for any muscle building, athletically minded enthusiasts. All in all 8/10 as they still cost money...there only flaw! The chocolate were a gift, thought they'd be tasty but they are like a slab of congealed, almost solid glue. They will destroy sensitive teeth, you do need to break them up and then try and dissolve pieces in mouth avoiding chewing in case teeth fall out. Peanut and almond ones are much softer but I have had a few in past week due to poor health/inability to cook so resorted to these. After a week of eating two a day or so, I want to heave at the taste of them and they give you dreadful wind. Really bad. Parping constantly. Luckily I'm not out and about due to aforementioned health, just bear that in mind, don't consume 24h before public transport or social occasions or work or well, anywhere away from privacy of own home... Great in an emergency but yeah, avoid chocolate if you want to keep your teeth and really, try to stick to one or two a week or you will also lose the will to live more than a high protein, low pleasure eating plan for health reasons already will make you. misanthropy, misery and charcoal underpants. 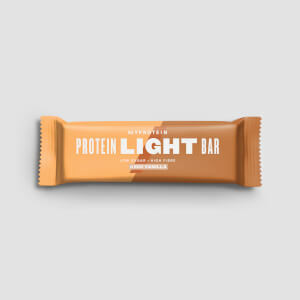 Great protein bar for on the go. Tasty without all the lavish toppings. Recommend leaving it on the radiator for 10mins or you will have an achy jaw after all the chewing. 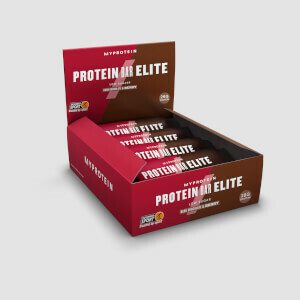 These bars are great if you need to top up your protein or need something after your gym session. I’ve tried all the flavours and don’t dislike any of them but my favourites are the chocolate and the cookies and cream. They are also great if you are on a low carb diet as each flavour has no more than about 4g of carbs. My definite go to snack. These bars provide a great sweet fix without all the horrible carbs. I particularly like the Cookies and Cream and the Lemon Cheesecake flavours. I eat these when I am really craving something sweet and have one instead of a pudding or when I need a quick snack to get me through between meals. The worst protein bar I have ever tried. Hard to chew, it has the worst artificial taste. Don’t buy it! I made the mistake of buying the whole box and will have to throw them. I intended on ordering the 6 layer bar but after perusing others available opted for the light bar on the basis of lower calories. Wishing now that I hadn’t. I’m familiar with the typical texture of protein bars and unfortunately these were not dissimilar. I ordered the cookies and creme and my first encounter today was very below par. One bite in and I headed to the microwave in hope for some improvements but was met with disappointment. Hard, grainy and lacking in flavour I could only manage to get half way through before chucking it. Great if you’re not after a yummy delight but naively I was hoping for something to satisfy my regular sweet tooth cravings and this definitely doesn’t do the job for me. Not amazing but not terrible. The reviews about it being a protein shake that has gone solid is accurate. They can't be compared to the likes of Grenade or the carb crusher bars (perhaps because they are not smothered in chocolate) but they are not terrible and are bareable/curb cravings. The macros are really good being low carb/low fat/high protein. I've ordered 12 of the caramel peanut and have just re-ordered.